Christ Church Cathedral or as it is formally known, The Cathedral of the Holy Trinity, is the elder of Dublin’s two medieval cathedrals, the other being St. Patrick’s. The earliest written evidence of a church at this location is in a manuscript from 1030. The original Viking church was founded by Dúnán, the first bishop of Dublin and Sitriuc Silkenbeard, the Norse king of Dublin after his return from a trip to Rome. This church was probably subject to the Archbishop of Canterbury. The original church was staffed by secular clergy. The second Bishop of Dublin introduced the Benedictine order. In 1160, Laurence O’Toole was elected Archbishop of Dublin and was the first Irishman to be appointed to the See of Dublin which at the time was ruled by Danes and Norwegians. He was beloved by the people of Dublin and began the Irish Church Reform Movement, emphasized the use of Gregorian chant and started the rebuilding of Christ Church Cathedral. O’Toole introduced the canons of Saint Augustine forming a priory that was to survive until the Reformation. This priory, the Priory of Holy Trinity, was to become one of the wealthiest religious houses in Ireland. King Henry II of England attended Christmas service in the church in 1171. In the 1180’s, due to the influence of the first Anglo-Norman bishop, the wooden church was replaced by a Romanesque stone cathedral. Gothic elements were added later and some of these parts survive to this day. This building was comprised of a choir, choir aisles and transepts, a crypt and three chapels. Much of the nave was built in the 1230’s. A chapel dedicated to O’Toole, who was canonized in 1225, was also built in the thirteenth century. In the 1350’s, a major extension was made to the building. In 1395, King Richard II sat in state in the cathedral. In 1487, Lambert Simnel, a boy pretender who sought unsuccessfully to depose King Henry VII of England, was “crowned” in the cathedral as “King Edward VI”. Radical reform came in the sixteenth century under King Henry VIII and King Edward VI. The priory was dissolved and a reformed institution of secular canons was established. In 1562, the foundations of the nave, which were resting on peat, slipped causing the arched, stoned roof and the south wall to crash down into the cathedral. The north wall survives to this day and visibly leans by 18 inches. The cathedral was in ruins and emergency repairs were started. These temporary repairs were to last until the nineteenth century. In 1742, the cathedral choir, together with the choir of St. Patrick’s cathedral, sang at the world premiere of Georg Frideric Handel’s “Messiah” in a nearby church. For much of the nineteenth century, the chapter lost its wealth and the building fell into disrepair. The cathedral was declared unsafe and no longer fit for use. Some limited repairs were undertaken between 1829 and 1831. The cathedral we see today is heavily Victorian due to extensive renovations and restorations carried out between 1871 and 1878. 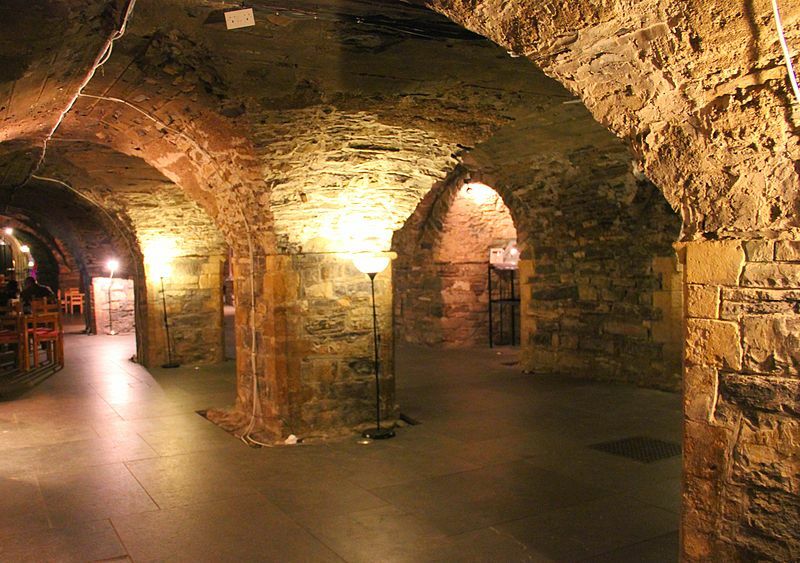 Christ Church contains the largest cathedral crypt in Britain or Ireland and was built in 1172-1173. It was renovated in the early 2000’s and is now open for visitors. 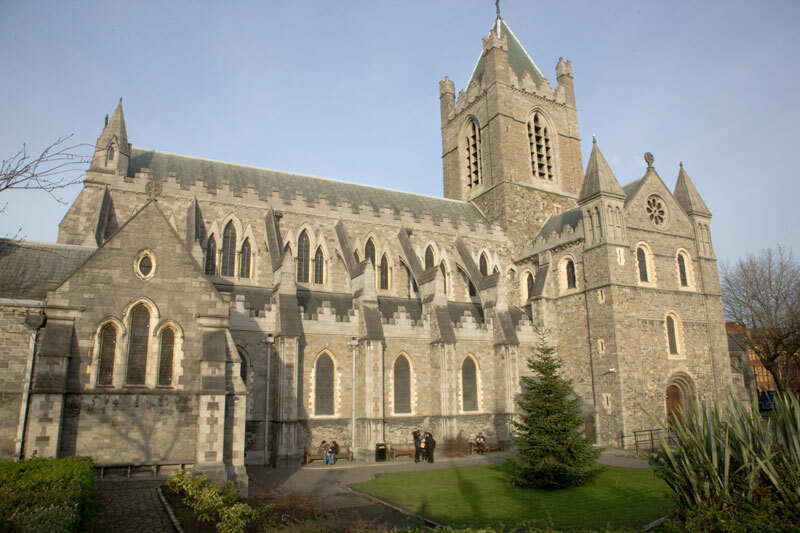 Christ Church Cathedral is officially claimed as the seat of both the Church of Ireland and the Roman Catholic archbishops of Dublin. In practice it has been the cathedral of only the Church of Ireland’s Archbishop of Dublin since the English Reformation. Although the Roman Catholic Archbishop of Dublin claims Christ Church as his cathedral, he uses St. Mary’s in Marlborough Street in Dublin as his acting cathedral. The heart of St. Laurence O’Toole was preserved in Christ Church Cathedral from the thirteenth century until March 3, 2012 when it was stolen. Excellent writing on this obviously beautiful church. Your writing enables the reader to feel like he/she is there, enjoying all of the splendor. Beautiful piece Susan. I’m especially proud and delighted you are writing about my beloved Dublin! Your post is excellent, as always. I think, and the sources are very old of course, ambiguous and often even contradictory, but i believe that the rebuilding of Christ Church in stone was begun under the short reign of Strongbow – the Anglo-Norman, or arguably more accurately the Welsh-Norman conquerer of SE Ireland and Norse Dublin, in the early 1169-1171 conquest period, ) In other words before Henry II hotfooted over to show who was boss) so also just a bit before Henry II’s pal, the first Anglo-Norman archbishop, John Comyn. Instead the gaelic born Lawrence O’Toole kept his post, his archbishopric, well into the early anglo-norman period. and I believe the stone work started as early as that period. Another tiny caveat would be to defend or absolve poor young Lambert Simmell of too much blame for attempting to topple Henry VII a couple of centuries later! It is true that he was crowned King in Christ Church, but he was entirely the pawn of much older and far more powerful men, notably Gerod Mor FitzGerald, the (Yorkist-aligned) Lord Deputy and very powerful earl of Kildare. Poor young Simmell was basically a chess piece in this typical piece of dynastic meddling. Henry VII more or less acknowledged as much when- instead of executing him for treason- he made the lad a spit turner in the royal kitchen at Windsor. ( he was not being spit-ful by the way, young Simmell was later promoted to royal falconer! (and forgive my atrocious puns) Anyway, super post, thrilled to see you posting about Dublin, and Ireland. This in fact is an especially interesting period, I’m sure you agree. My very warmest regards- Arran. Susan, you write so well that you could post an epic and we’d all still read the, But i know what you mean, I’m always trying to get my own posts down a bit shorter too. It’s a particularly tricky issue fro those of us who love history, because it’s tough to get all the complexity across and keep it bief at the same time. But you’re doing great, I especially enjoyed the above. Keep up the great work. -Arran.